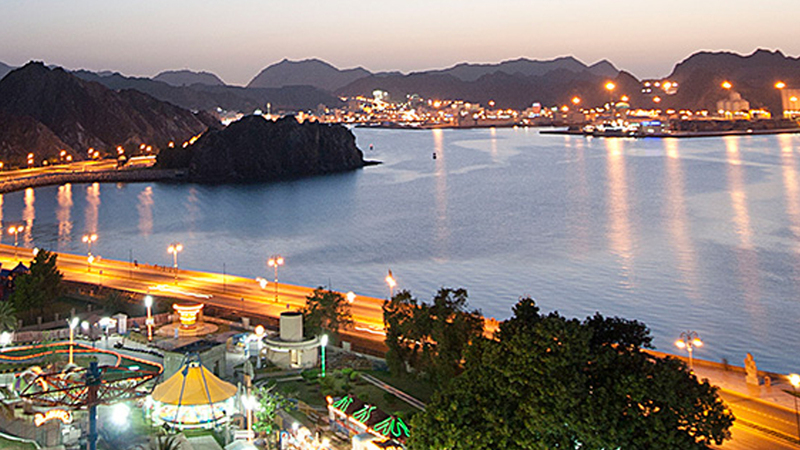 This upscale hotel in a contemporary building is 4 km from the shores of the Gulf of Oman, 6 km from Sultan Qaboos Grand Mosque and 8 km from Royal Opera House Muscat. Featuring nature-inspired artwork, modern, polished rooms offer free Wi-Fi and flat-screens, plus minibars, and tea and coffeemaking facilities. Suites add sitting areas. Upgraded suites have living and dining areas; some add whirlpool tubs and water views. Amenities include a pair of contemporary restaurants serving a range of Asian to European cuisine, plus 2 lounges offering drinks. A water-view, rooftop pool flanks a sundeck with sunloungers. There's a gym. Parking is free.